Revolutionary new all-conditions tire: it’s a mud tire that’s designed for the trail, a trail tire that slings mud with the best of them! Computer-aided engineering has resulted in the lightest mud/trail tire ever! Unique center tread contact area provides a smooth, radial-like ride. 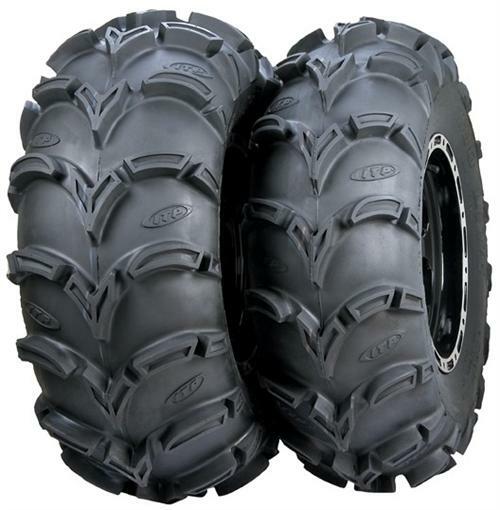 Pure trail tire handling combines with pure mud tire performance. Angled shoulder lugs provide unmatched mud traction. Embossed logo shows the world who got there first! 6-ply rating for unmatched durability. Perhaps best of all, the Mud Lite is priced right. Shop and compare—you won’t find a tire that’s lighter, tougher or more capable at such a reasonable price!